On Sunday 7 April I’m running the Paris Marathon. You don’t need to collect sponsorship to run it but my intention was always to try and raise a bit of money by doing it. Scared I might not be able to complete the race, I was going to call for sponsors after I’d actually finished. But things changed last week. 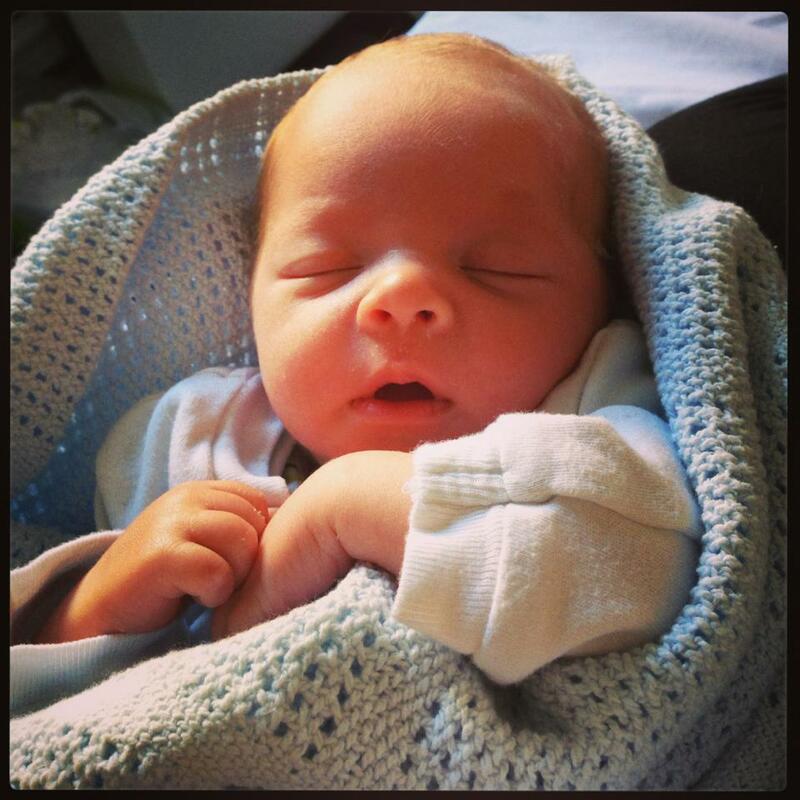 On Sunday 17 March my sister Vicki gave birth to Lucas Charlie Hubbard. He was four weeks early and weighed 4lb 15oz but he was healthy and came home the next day. A week later Vicki thought something was wrong so she took him to hospital for a check. Soon after getting there he stopped breathing. A team of doctors managed to stabilise him before he was rushed to St Thomas’ Hospital in London. No one knew what was happening. No one knew what was wrong. All we knew was that Lucas was really ill. While all this was happening I was sitting at home alone and had no idea what to do, so I went for a run. I had no idea what news I’d get home to so I just kept on running, wiping away the tears. A lot of miles later I returned and the news was no better: he was in intensive care and they were doing all they could. The next day there was no more news. Vicki and husband Daryl were with Lucas the whole time. The day after we got news that he was improving. He slowly came off ventilation, slowly started feeding and after four days in ICU at Evelina Children’s Hospital he was opening his eyes and breathing and feeding on his own. By the end of the week he was well enough to be transferred to a hospital near his home. We still don’t know what was wrong, all we know is that we came terrifyingly, heartbreakingly close to losing little Lucas. On the long run that night all I could think about was Lucas, so I’ve decided to run the Paris Marathon to raise money to say thank you to the doctors and nurses at the intensive care unit at Evelina Children’s Hospital. Every day they do this for families all around Britain (though especially those in the south east) and any day it could be someone in our family. They treated Lucas and my family so well and we’re so grateful. Yesterday Lucas was allowed home. Hearing that news is the reason I’m doing this. Now I just need to haul my undertrained body around the streets of Paris for four hours... If you would like to donate to the hospital then the link is here. Craft Beer World Book Launch!